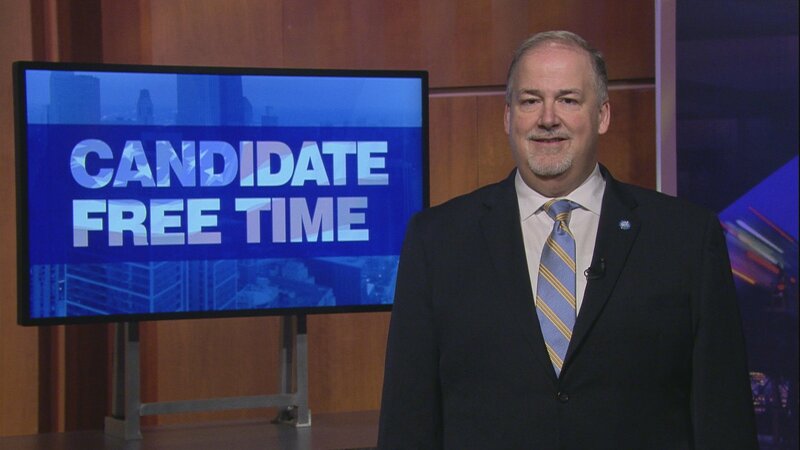 Video: Sean M. Morrison tells voters about his platform. Learn more about Candidate Free Time. Hello, I’m Cook County Commissioner Sean Morrison from the 17th District of suburban Cook County. I have been honored to represent and serve the people of the 17th District since 2015. I bring a small business owner’s pragmatic perspective to the Cook County Board where I have consistently advocated for fiscal responsibility, innovative reform measures and pro‐growth economic policies. In my nearly three years of service on the Cook County Board, I am proud to be a part of several significant reforms and achievements. Most notably, I stepped forward in 2017 as the Chief Sponsor and author of the ordinance that led to the repeal of President Preckwinkle’s Cook County Sweetened Beverage Tax. Many people said a tax like this could never be repealed in Cook County, but because of the amazing will of the people the Beverage Tax was repealed. A victory for ALL Cook County taxpayers. As a direct result of the successful Beverage Tax Repeal, the Cook County Board for the first time in recent history was pushed to actually cut out $200 million dollars from President Preckwinkle’s proposed $5.3 billion dollar 2018 budget. This was no easy task, but once again, fiscal reform won the day and I was proud to be the leader in securing the 2018 Budget, with no new tax revenue. This was another victory for Cook County taxpayers. In the November General Election, 17th District voters will have a crystal-clear choice for Cook County Commissioner. They will have the opportunity to vote and stand with the strong reform efforts I have championed since taking office or return to the tired tax & spend ways of the past which has turned Cook County into the exodus capital of the nation. Sadly, too many of our residents are voting with their feet and moving out of Cook County. This terrible trend must be curbed and that is why Cook County government must chart a new fiscal course. A fiscal course that invests in its people, businesses, and communities. That is why I believe my proven record of fiscal responsibility, reform efforts and pro-growth economic policies are the solutions taxpayers want, but more importantly, demand from their Cook County government. I’m Cook County Commissioner Sean Morrison. Thank you for listening.